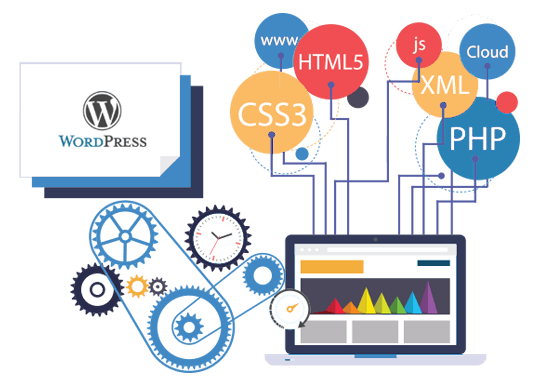 Shiftu technology is a premier WordPress service provider which offers services like custom WordPress Web Design,Redesign, WordPress Web Maintenance, WordPress SEO service, WordPress Customized Website service, WordPress plug in integration etc. at affordable pricing. We have wide customer data bases across multiple countries by delivering our reliable services. WordPress as an outstanding Content Management System (CMS), is advancing day by day in today’s website developing industries. WordPress serves with powerful plugins and templates which helps in building wide varieties of web sites such as blogging site, corporate or E-commerce site with fasteest delivery. It is the reason that most of the sites are being developed by WordPress . Now in all industries follow the trend of PSD to WordPress conversion. Converting PSD (Photoshop document) to WordPress is be an effective and efficient technique that deliver a highly innovative graphic website. So we Shiftu Technology bring you outstanding PSD to WordPress conversion services. We specialize in providing custom WordPress solutions and services. WordPress is our key tool to use for any website, whether it is a blog or search engine or a CMS (Content Management System) website. We will serve you on any level of your project that you may need support with. Our exclussive services are for anyone who needs a professional WordPress installation and configuration with themes from any professional WordPress theme provider. Call us now @ +91 674 600811.